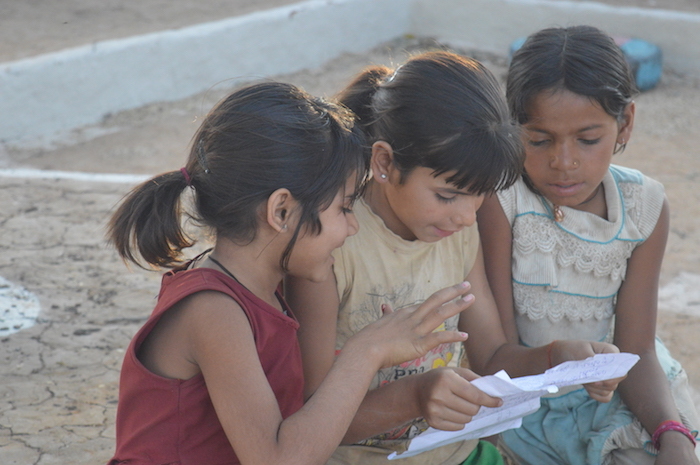 In March Priscilla, Nora and Antonia from the Tara Trust in Goa came to Janwaar. In our homestays they lived and worked with us for two weeks. 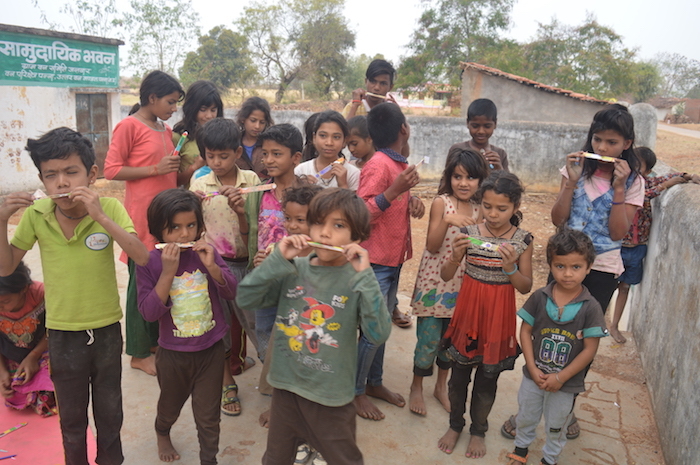 Their mission was to build music instruments with the kids! 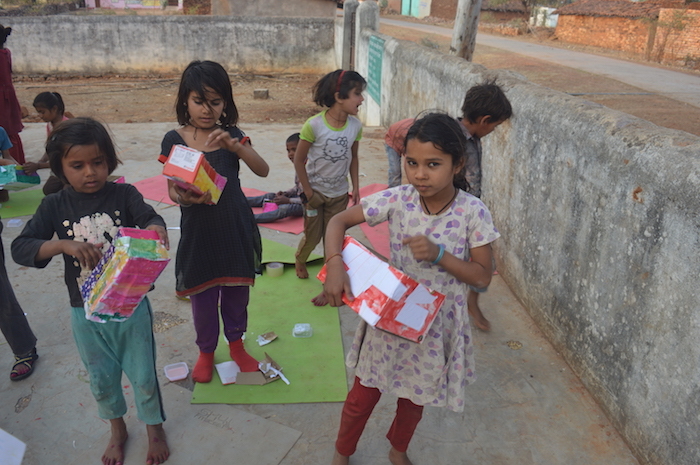 In early morning and evening sessions they brought together various groups of kids who were all deeply engaged in the activities. 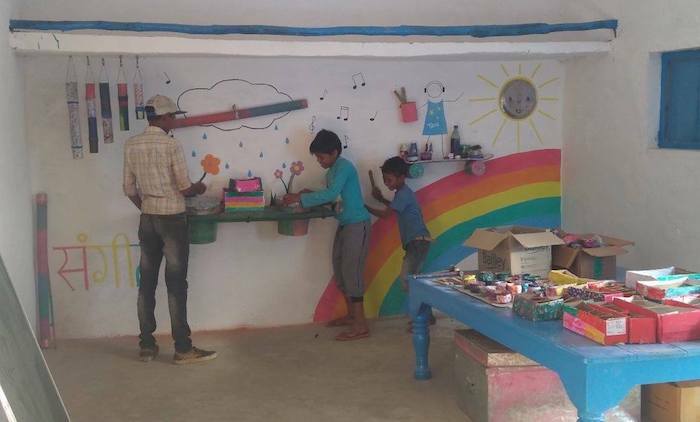 It’s so great to see how happy the kids are if tehy see the immediate result of their work! It was such a great experience – and the kids use the musicwall inside our Villa whenever they can! Looking forward to have you all again next year! The girls figuring out what the next step is.